How Do I Get More Therapy Clients? Blogs help rank a website on search engines, but that’s not their only purpose. A blog is also an expression of you and your practice’s brand. And it could be the deciding factor that turns a potential client into a long-term client. But the question, “What should I blog about?” too often becomes an excuse to not write at all. And then the blog section of the site sits there like a forgotten relic. The truth is ideas are everywhere. The world is brimming with signposts that can be followed to a blog post. But you have to know what to look for. Which is why we’ve compiled the following list: to help you see possible sources of new ideas for your blog. Did a new client recently tell you they are worried about confidentiality? Have several of your clients told you they’re interested in natural remedies for panic attacks? Questions always present themselves as opportunities for exploration. So, based on the above scenarios you may write a post called “How HIPAA Protects Client Confidentiality,” followed by a blog detailing six natural anxiety remedies (or however many you choose). The general idea is to always be listening—which is the theme for any of the following sources of inspiration. But remember to protect your client’s privacy. Do not use their name in the post. You shouldn’t have to anyway. The general idea of the question is what you’re exploring, not the client. Conferences, TED talks, and presentations on YouTube are all possible sources of posts. Whether you agree, disagree, or fall somewhere in-between, detailing your thoughts is a simple means of churning out blogs. They have a dual-purpose too. You may clarify your own thinking as you write. Just remember that you want to orient the discussion towards your readers. And those readers are typically potential clients. So, find a way to make your discussion relatable to their concerns. You don’t want to scare people away by writing super technical details that are only going to make sense to your peers. Therapeutic practices regularly make appearances in the news cycle. Particular stories may afford you an opportunity to respond. Whether it be the opioid epidemic, another study linking meditation and grey matter, or the World Health Organization’s recognition of video game addiction, news media offers engaging subjects to add your voice. And your therapy blog is the perfect outlet. There’s nothing wrong with expressing your opinion. And doing so with tact affords a prime opportunity to develop blog posts. Display your expertise but gear your language towards everyday people; the kind of language you would use at a dinner party. Ideas for blog posts can be drawn from every aspect of life, including pop culture. Use movies, shows, music, or any popular fiction to illustrate a concept, point, or practice. People often learn best through example. And what better example is there than the pop culture icons that bind us together? TV shows like “The Good Doctor” play into self-evident topics in the therapy community. Whereas even a billion-dollar franchise like Star Wars can be used as an analogy for aspects of mental health. Unless your therapy blog has a very formal tone use popular culture to feed your blog and relate to your readers. Ideas for your blog can be found anywhere once you know what to look for. In a way, this one is related to current events, above. Communicating your thoughts regarding the latest stride in research—relevant to your field—is an excellent source of blog posts. The same is true of experimental research. Of course, you do need to be careful. As potential clients may come to you after reading a blog post because of their interest in a new study. Always remember that a blog post is part of a marketing strategy, as much as it is an expression of your practice. Put your best voice forward. What are you reading? If it’s relevant to your practice, or even if you find it a particular source of inspiration, write about it. Blog about how it connects to therapy. If you want to be proactive, find books relevant to your niche. That might be self-help books, or something a bit more nuanced. Then translate what you’ve learned into a blog post. But we have to issue a small warning. Writing about books is fine from time-to-time. But don’t turn every post into an article about what you’re reading; don’t turn your site into a book review blog. Google Alerts is a powerful tool for keeping on top of trends. Enter in a phrase like “new anxiety treatment,” and Google will send you an email alert whenever content with the term is published. RSS is another underused tool. Using an RSS feeder, like Feedly, you add your favorite websites from around the web, and then read all of those website’s articles in one place. It’s a great tool for tracking what others in private practice are talking about. With Google Alerts and RSS you stay on top of the latest topics—online at least. Use what the industry is talking about to jumpstart your next blog post. Combating misinformation may be one of the most important roles an expert can take today. If you learn that people believe some false claim in your niche, address it. Explain what makes the claim false, and what the truth of the matter is. Use your blog to set the record straight—while also displaying your expertise. 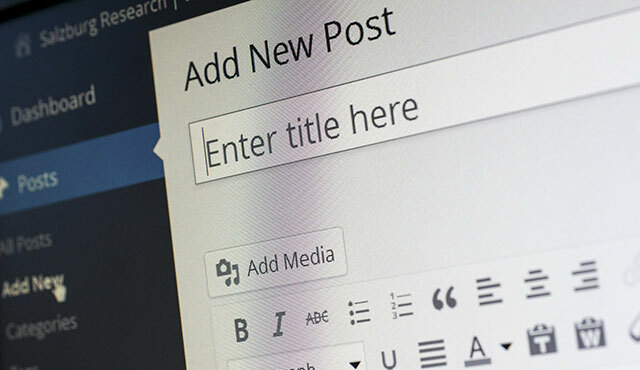 The blog section of your practice’s website does not need to be singularly focused: a series of posts that just targets or keywords, or shares your specialties, etc. Blogs can be as versatile as you are. And doing so not only displays your expertise but humanizes you and your practice as well. So don’t forget that a good idea can be found just about anywhere. Pay attention to every aspect of your life and you may be surprised to find inspiration finding you. 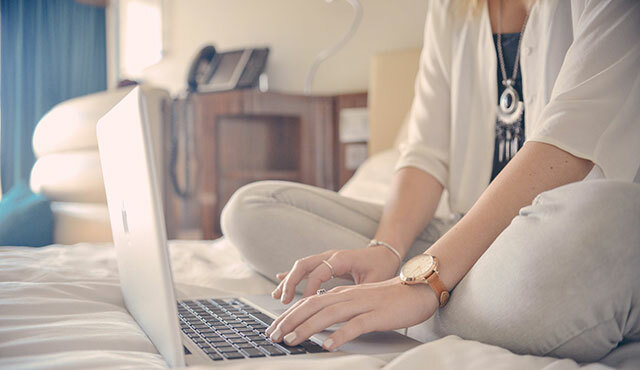 If you’re still unsure what to write about, though, consider letting us take this off of your plate by checking out our professional blog writing packages. Wondering Why Your Private Practice Marketing Isn't Working? Copyright © 2018 CounselingWise.com. All rights reserved.